This was a training trip for the 4 skippers taking part in the June 2011 trip. 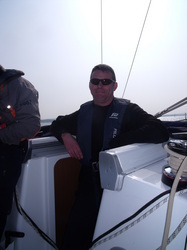 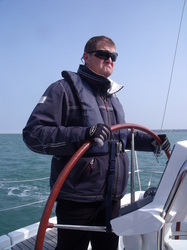 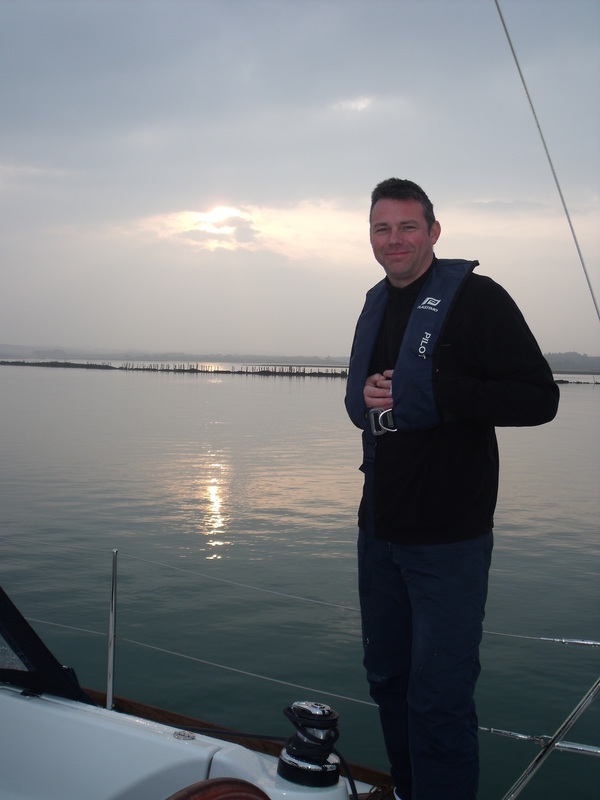 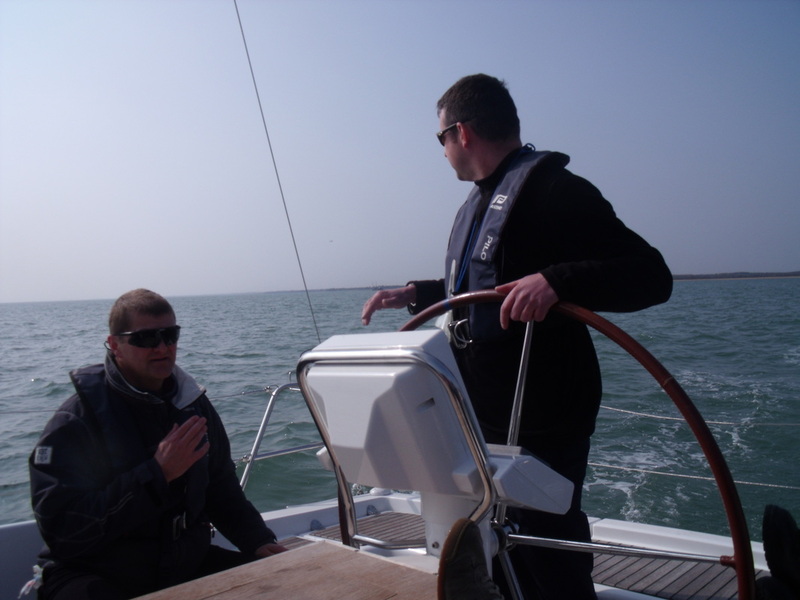 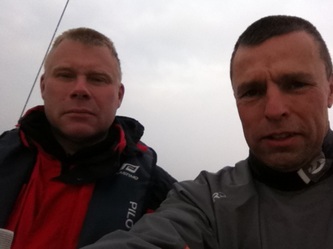 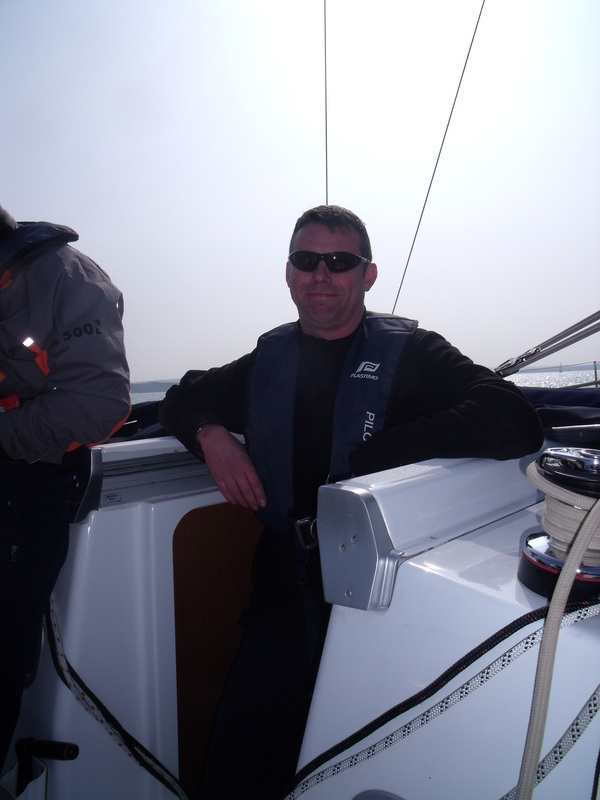 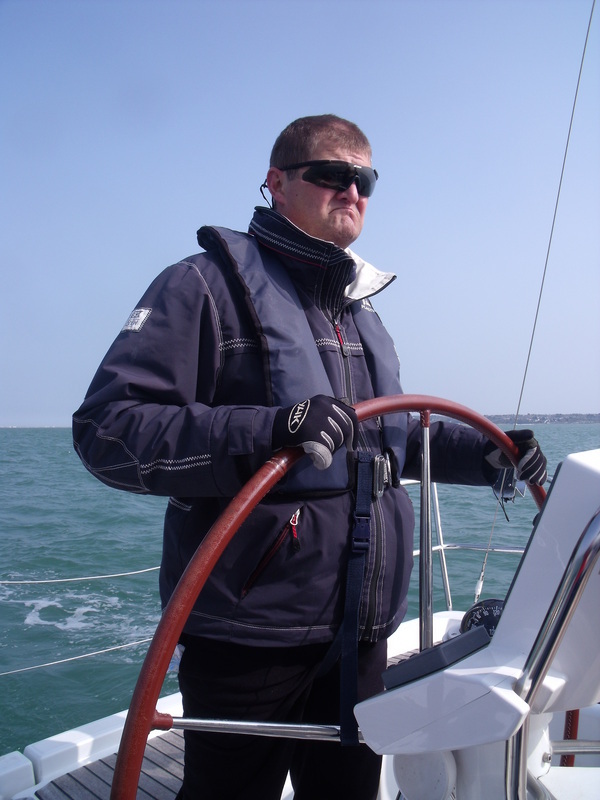 Steve Cooke also came along to build his miles and experience in preparation for a Day Skipper course. 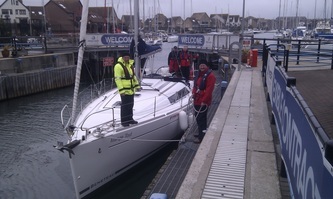 We joined the yacht Mange Tout in Port Hamble Marina at 6pm and eat aboard, before going through a safety briefing. 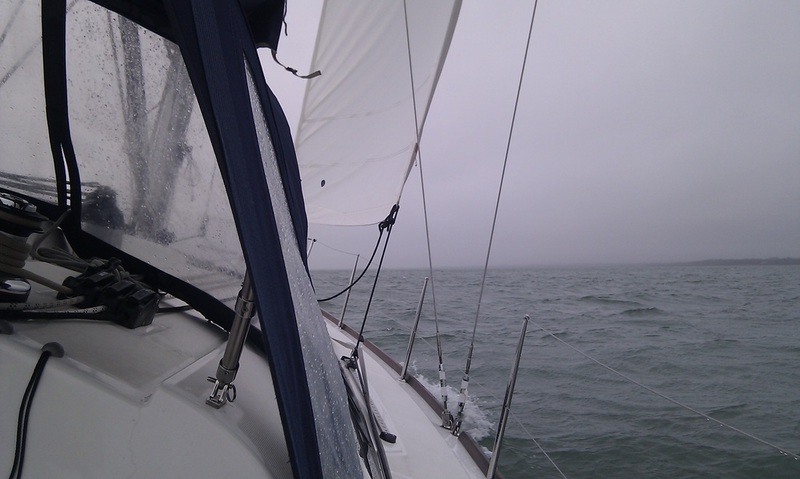 The next day we headed out into light winds and practiced sail handling. 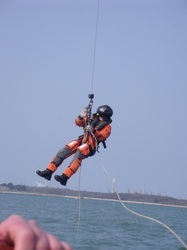 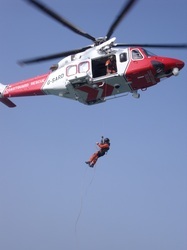 We were joined in the afternoon by Rescue Helicopter 104 who performed a Hi Line exercise. 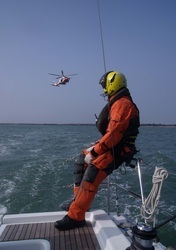 This proved a very valuable and interesting exercise. We stayed in Newtown Creek on a buoy overnight Monday. 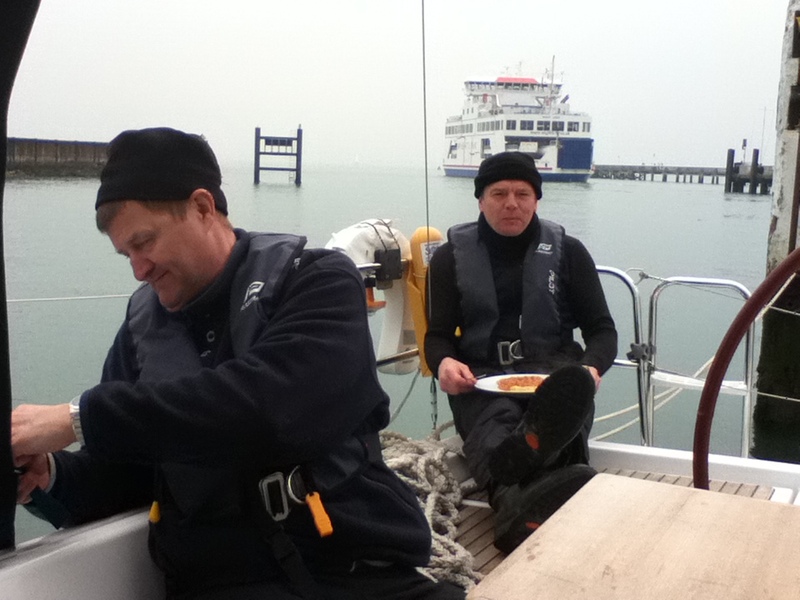 Tuesday and Wednesday saw more maneuvers, including pile mooring, close quarter maneuvers, reefing and heaving-to. We visited Yarmouth, Lymington and stayed in East Cowes Tuesday and on another swinging mooring in Beaulieu on Wednesday. 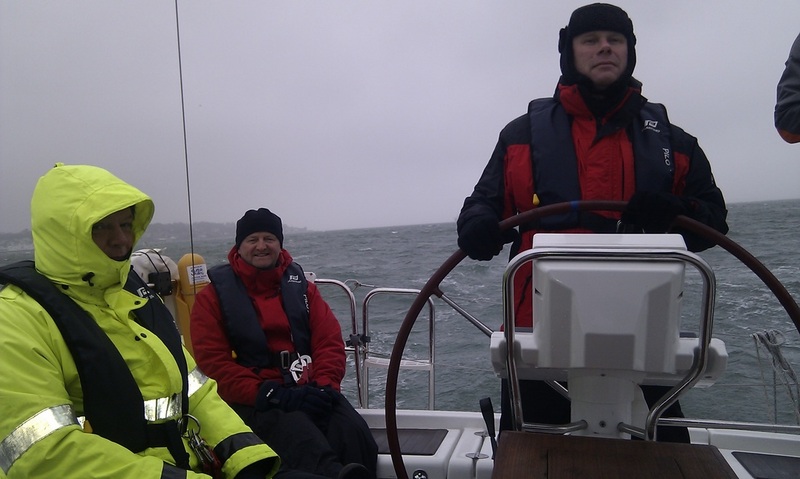 The winds freshened to Force 8 on Thursday with wind strengths of up to 40 knots! 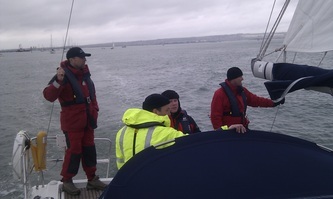 After entering Port Solent we spent some time practising berthing in heavy weather before a meal ashore. 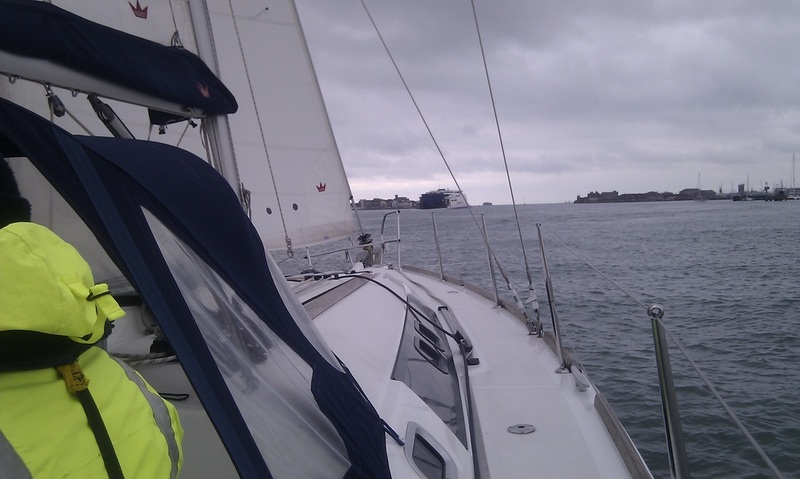 Friday morning saw a short sail in force 6 conditions back to Port Hamble. 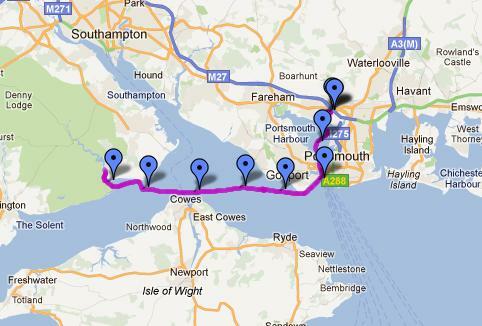 Route from Beaulieu to Portsmouth in F8-9 winds on Thursday. We had notified Solent Coastguard of our route and set the smallest headsail possible but we still maintained 9.5 knots as we headed to Portsmouth. 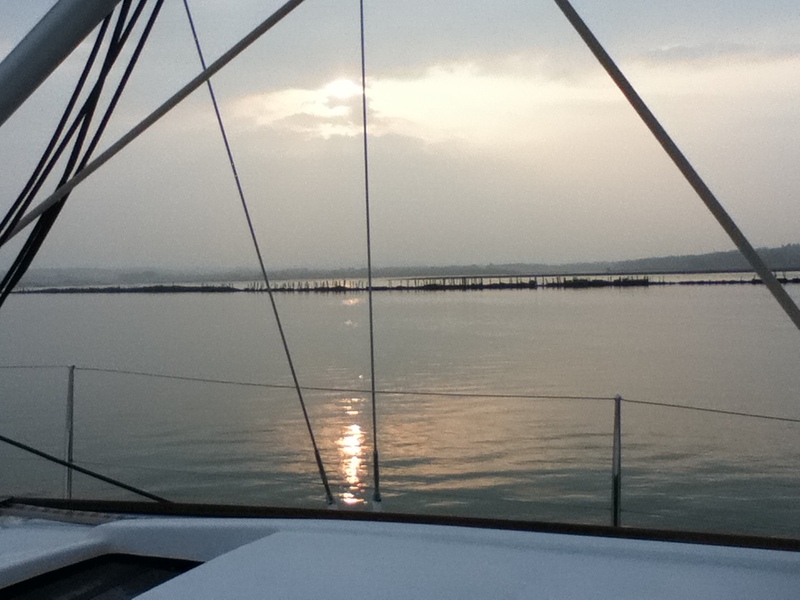 We motored about 200m through the entrance after which we sailed the remainder to within 20m of the lock entrance before turning the engine on. 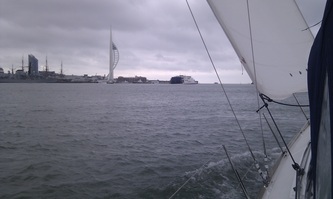 Footage taken in Port Solent, with winds of 35-40 knots. 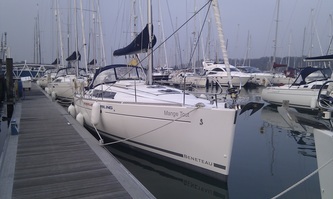 As the camera pans round you can hear the wind screaming through the masts in the marina. 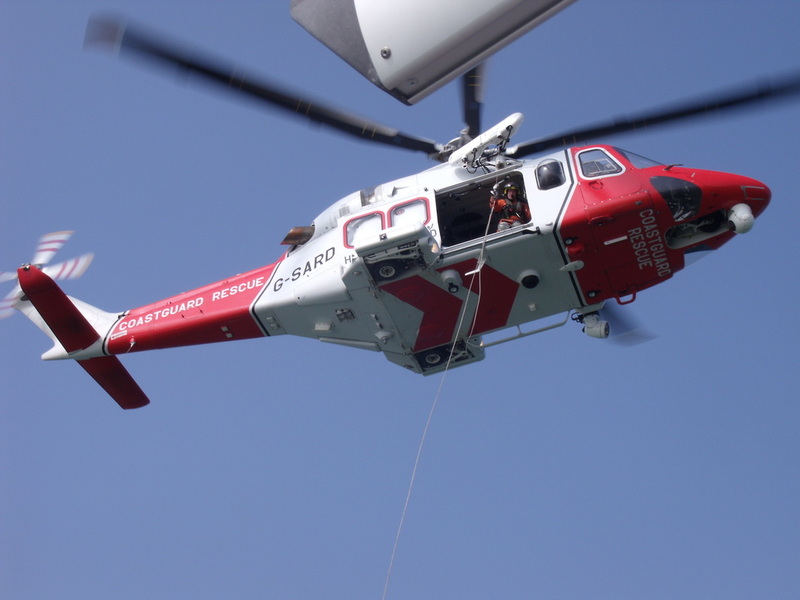 Click the video on the left to watch a short clip of the Coastguard Helicopter recovering their crew from our yacht after completing the High Line exercise. A very worth wile lesson for all the skippers.